We have found the leak under the floor in one of the downstairs bathrooms. This has entailed digging up some of the newly laid screed, but it is better to find it now than after the floor has been tiled. The floor in one of the sownstairs bathrooms did not dry out over the Christmas period despite the underfloor heathing being on. We suspected that there might have been a leak in the underfloor pipework. 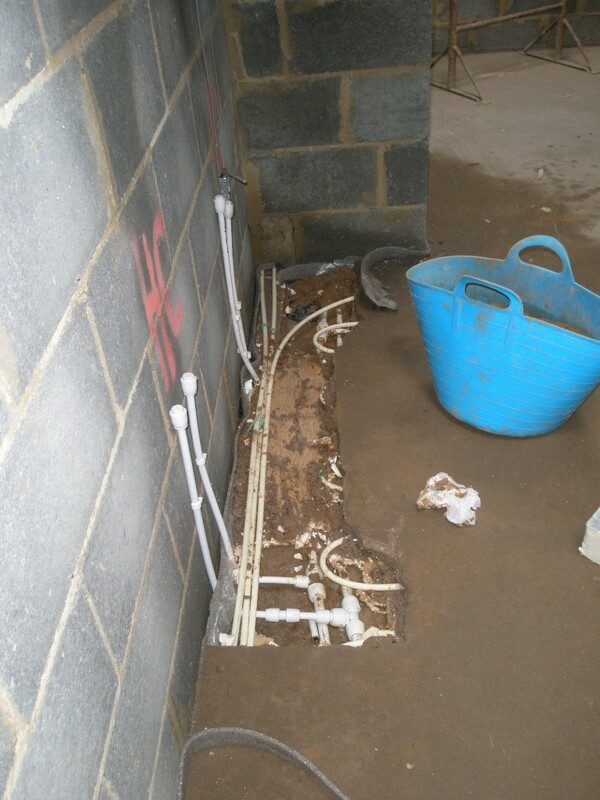 This week we have had to dig out the area of floor screed to find the leak. 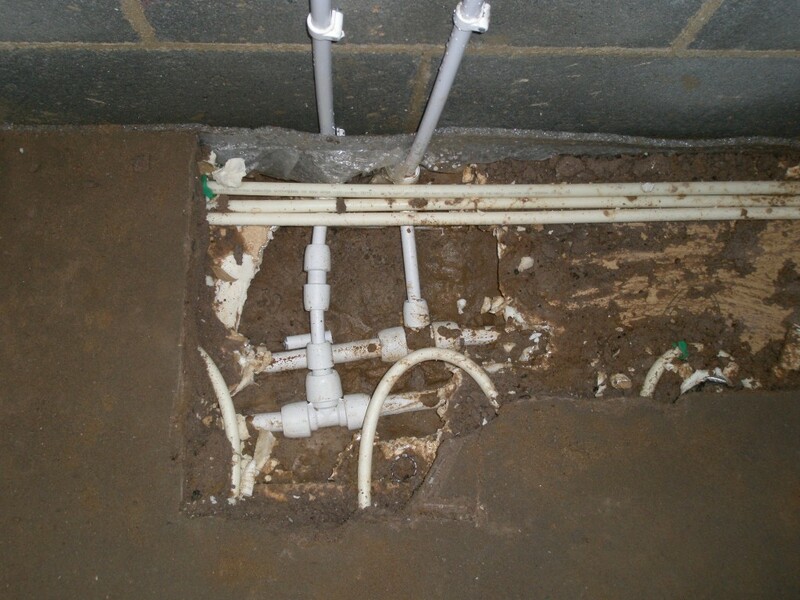 The pressure in the underfloor heating had remained constant over the Christmas period, so we concluded that it was unlikely to be the cause of the leak. As soon as we turn off the water, the floor started to dry out. The leak had to be on one of the hot or cold feeds. Turns out it was the hot feed (the pipe on the left) to the hand basin. Both the T joint and a section of pipe were replaced.